Learn more about Anh-Minh here. Scandinavian Details - 364 Hayes + terrific online store, too. 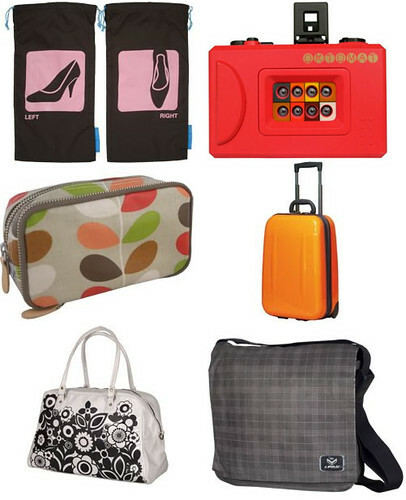 20% discount offered, click here for details. One of the newer storefronts to open on Hayes is Scandinavian Details ? which, as its name implies, carries all sorts of Scandinavian goods (as well as those from other parts of the world.) Founder Kristina Runske actually makes several trips to Scandinavia every year to bring the latest and greatest designs to San Francisco. Now that it?s summer and I?ve got the gardening bug, the Appelsiini water can ($28) and Sagaform gardening sets (available for kids and adults) are high on my list of things to buy. Friend - 401 Hayes + online. Across the street from Rose and Radish, you?ll find Friend ? which carries the usual modern designers (Alessi, Kartell, Eames, Mud Australia, Herman Miller), as well as local folks who have made a name for themselves (Pablo lighting, Heath ceramics, Publique Living). 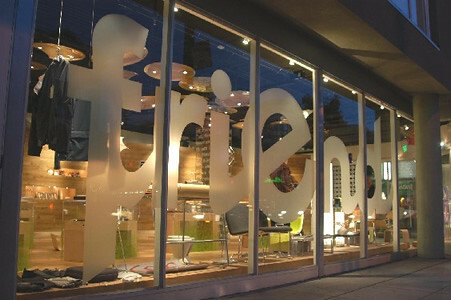 As you might expect with a place called Friend, the staff is very friendly and helpful here. Find - 425 Hayes + an online store is in the works; sign up on their website to be notified of its launch. With 4,500 square feet, find has plenty of space to split between furniture (like designs from rhubarb) and apparel. The front/most of the store has sofas, tables, beds, etc., while the way-back section carries clothing (including many local, independent designers). Flight001 - 525 Hayes or online. Psst: Interesting tip. Why do they call themselves Flight001? "For almost 40 years, Pan Am's Flight 001 ruled all westbound air travel with a flight that originated in San Francisco and then hopped around the globe, stopping in Honolulu, Tokyo, Hong Kong, Bangkok, Delhi, Beirut, Istanbul, Frankfurt, London, and finally landing in New York 48 hours after its first take-off. Flight 001 was a seamless experience." Lavish - 540 Hayes + online store coming soon! 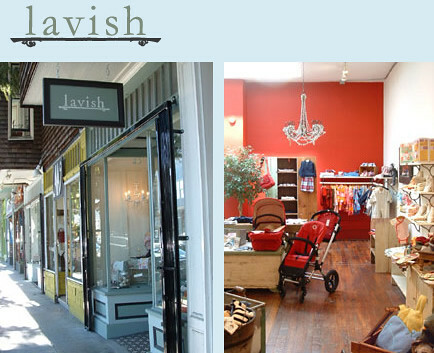 Lavish is the perfect shop if you?re looking for adorable baby gifts or home accessories. My absolutely favorite thing in the store is Bishop Lennon?s collection of alphabet paintings. 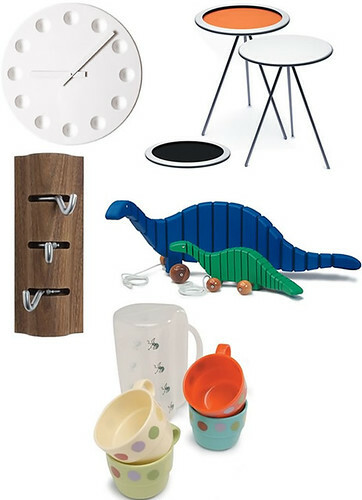 But those Lotta Jansdotter and Hable Construction products are darn cute, too. From large-scale furnishings, lots of antiques, and gorgeous home accents (pillows, paintings, vases), Propeller is chock-full of good stuff. You must check out the X-Pand dining table, which ? you guessed it ? is expandable, but with no leaves! The center is designed like an accordion, so it expands/contracts to fit your needs. Brilliant. 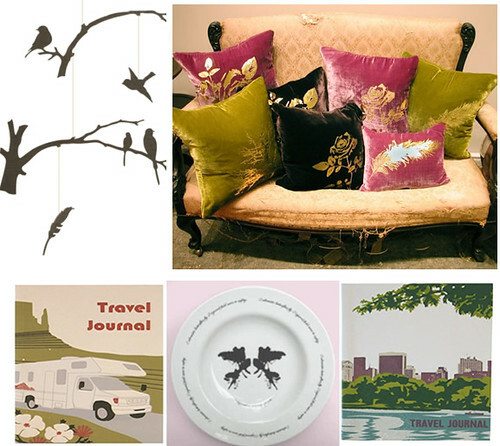 If you?re going for that eclectic mix in your home, Zonal is just the place to shop. Antiques and collectibles can be found alongside contemporary furniture and accessories. I?m more drawn to the former category of goods at Zonal, especially the old street signs. Alabaster?s tagline is, ?Treasures for the Home,? and that sums up the store pretty well. It's a haven for Vintage Modern lovers. 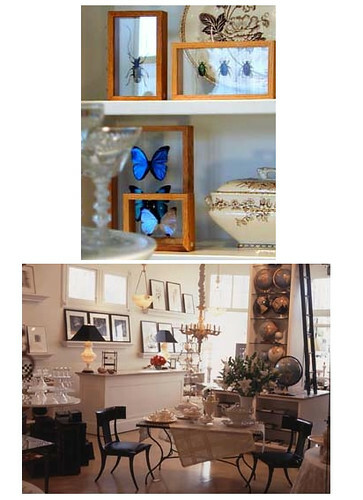 The boutique is filled with gorgeous vessels, lamps and serving pieces. 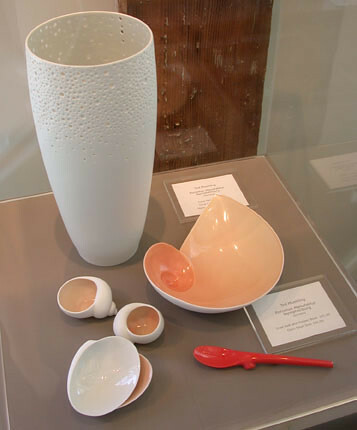 French bath products, Italian accessories, books and jewelry can also be purchased at Alabaster. They offer interior design services for the locals, too. When you need a break from the shopping, Hayes Green is the perfect resting spot. In addition to tables and chairs for hanging out, you?ll find a jungle gym to climb all over, too. And if you get hungry, you?re in luck: Hayes Valley is home to some wonderful eateries (including Citizen Cake, Absinthe, Suppenkuche).